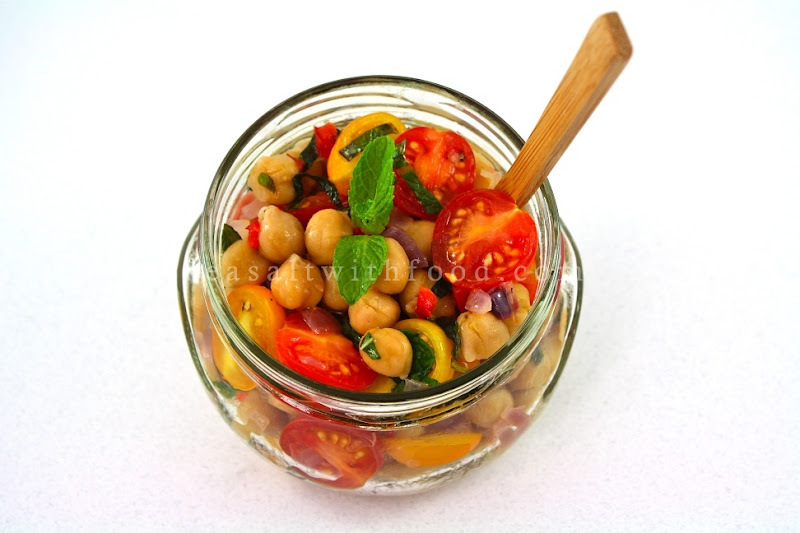 I made this delicious Warm Chickpea Salad yesterday. For convenience, I used canned chickpeas for this recipe. It is a faster and cheaper alternative. 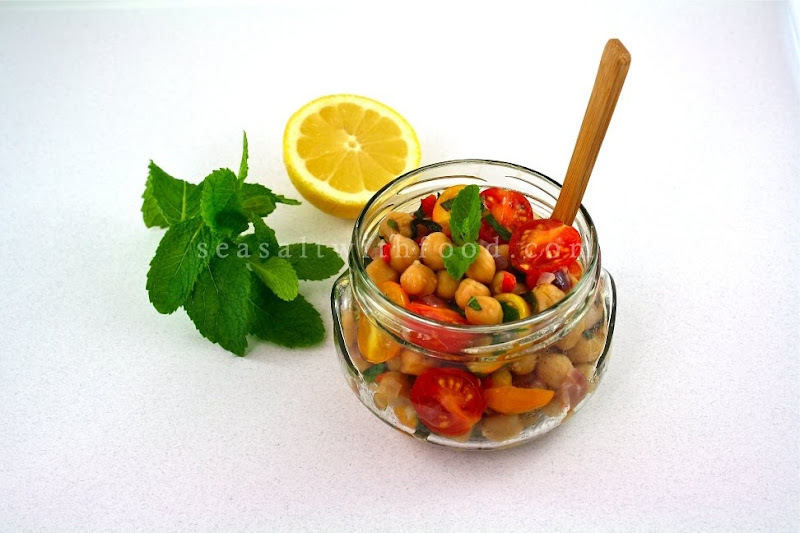 However, if you are not into chickpeas, you can substitute it with other canned beans instead. Just make sure the beans are firm and not the mushy type. In a large pan, heat the oil over moderate heat. Cook the garlic and onion with a pinch of sugar for about 5 to 6 minutes or until fragrant and translucent. Then mix in the minced chili, chili flakes, chickpeas, and the reserved liquid. Cook the mixture for about 8 to 10 minutes. Remove from the heat. 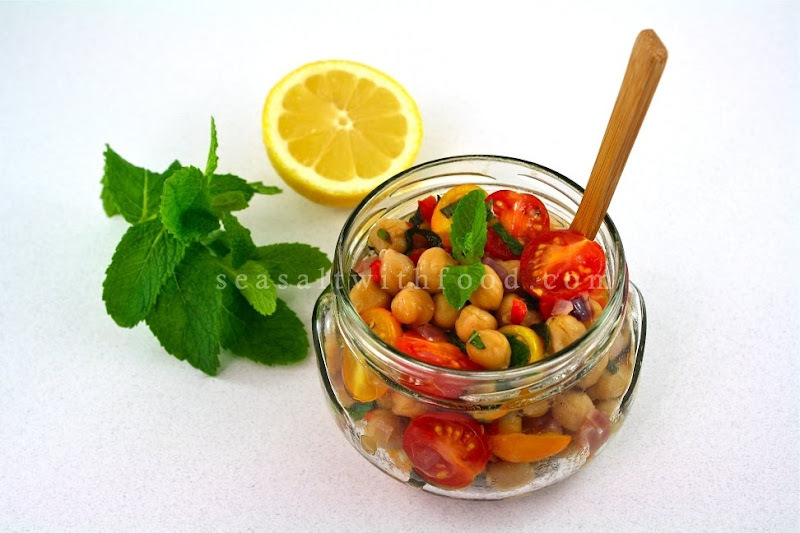 Toss in the tomatoes, mint leaves and season with lemon juice, sea salt and some freshly ground black pepper. Beautiful colors. I love all the Mediterranean flavors you added to the salad. Nice! Most people think I have 'issues' because I am seriously addicted to chickpeas, if I don't eat them every day then I have to eat them every other day. To me, they are just the most perfect food, so much flavor, so nutritious, and so adaptable. This recipe just proves how good chickpeas can be in any setting. I am really looking forward to making this. i love chickpea salad, but i never thought to serve it warm! i'm going to have to try it right away. I love chickpeas! What a great salad to showcase them. Delicious!